SOME REALLY DIFFERENT TROPHIES 20 18 NETBALL Catalogue Numbering System Single component items are given a Component Number. Eg. 222-8GC Multi-component items are given a number based on position in that Catalogue. Eg. 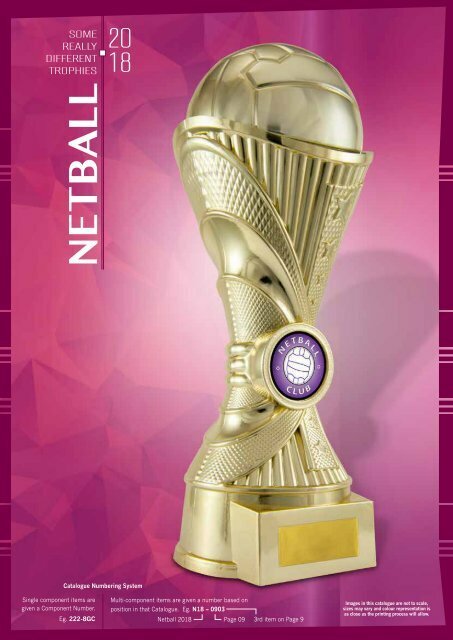 N18 – 0903 Netball 2018 Page 09 3rd item on Page 9 Images in this catalogue are not to scale, sizes may vary and colour representation is as close as the printing process will allow.